Brutal Events is coming to Llanberis to host an extreme and awesome triathlon. This starts on the shores of Lake Padarn with the swimming section, before going through some stunning scenery via bicycle, and over some challenging hills. 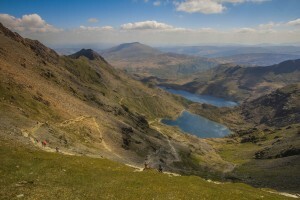 Finally the running segment takes you right around the lake and then up and down the mightiest peak in all of Wales – Snowdon. This triathlon was voted ‘the world’s toughest triathlon’ by 220 triathlon but it’s also well known for its welcoming and low-key vibe. All athletes are permitted and encouraged to enter – whether you are a seasoned triathlete or it’s your first attempt. The encouragement and support felt by the event crew and other competitors alike will leave you wanting more and give you the strength to go on. All this combined with the unbelievable backdrop of Snowdonia providing the track, results in an awesome and unforgettable experience. It will be worth the fight when you get the satisfaction of conquering this beast! A number of distances are available to add to accessibility, these are half, full, double and triple. You can enter all of these events as a solo or as a member of a team. Teams can range from 2-4 members. The event takes place on the 16th of September 2017. Make sure that you are appropriately prepared for the length and segment of your choosing as although the event is fantastically run and well monitored, you need to take responsibility for your own health, safety and success. If you like you can enter any of these triathlons as a relay race, which can be the perfect way to introduce you to a marathon, or be a good way to break up a double or triple triathlon. Support is also necessary if you plan to take a double or triple triathlon. With many people making their way to Snowdonia from across Wales, the UK and even the globe, there will be many people in search of accommodation. Self catering Snowdonia is a fantastic housing option. This entry was posted in Activities, Events, Local Information. Bookmark the permalink.